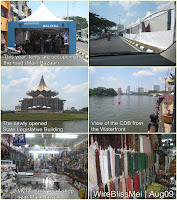 Today is the last day of the Malaysian Crafts Promotion at Kuching Waterfront. It started on July 31st. It was really a hassle to go there as one side of the road is closed for traffic and tents are set up there. Made few rounds until I decided to park about half a kilometer away. 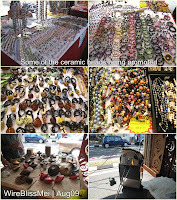 Overall, I am quite dissappointed as there are more textiles stalls than other crafts. The crowd was small...maybe because it was noon time and its so so so hot. Enjoy the pictures here: Click on the photo to enlarge. Wow...your photos are amazing. I would love to visit your favorite bead shop...it looks wonderful!! !